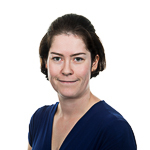 Based in Bristol since 2008 Meghan gained a Bachelors degree in Geographical Sciences from the University of Bristol and a Masters in Planning Practice and Research at Cardiff University. Meghan has wide ranging experience working for public and private sector clients on site appraisals, applications and appeals. She has been involved in submitting a variety of planning applications from small-scale householder extensions and enforcement work, to schemes for 50+ dwellings, planning appraisals and land promotion for new sites. Meghan coordinates the national and local representations for affordable housing providers in the South West and West Midlands regions.